The Central SC Alliance stimulates economic expansion and facilitates job creation by promoting central South Carolina as a desirable location for businesses. Through their efforts, the alliance has brought over $11 billion in regional investments to the central region of South Carolina. 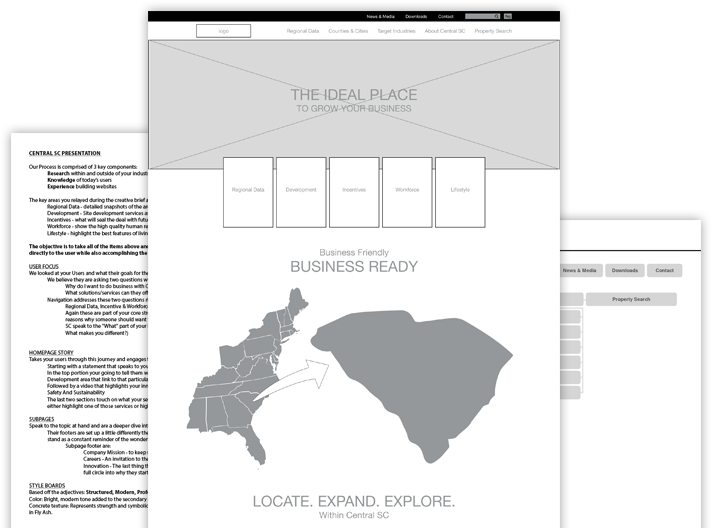 The enticing experience designed by DuBose Web for Central SC Alliance welcomes businesses around the world to settle there. Central SC Alliance’s website needed to serve as an ambassador for central South Carolina, showcasing the vibrant mix of industries and diverse groups of people that call the region home—and enticing new businesses to picture themselves there, too. 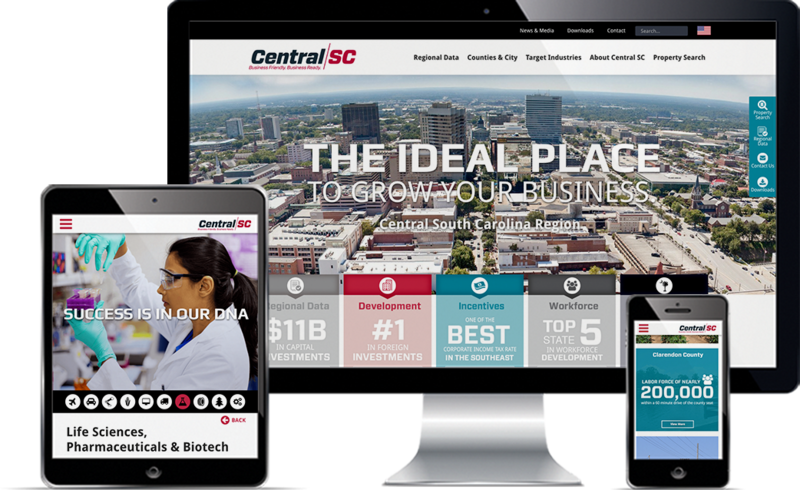 With a goal of generating leads for Central SC Alliance, we knew that the site needed to make a powerful first impression. The resulting showstopper incorporates dynamic interactions, bold styling, and custom graphics to grab (and hold) visitors’ attention. Planning was particularly important to this project. We strategized intensively to maintain an effortless user experience while presenting information from nine Midlands counties within one website. To add depth to the site, we incorporated interesting textures and crisp imagery, all while staying within the brand’s established guidelines. 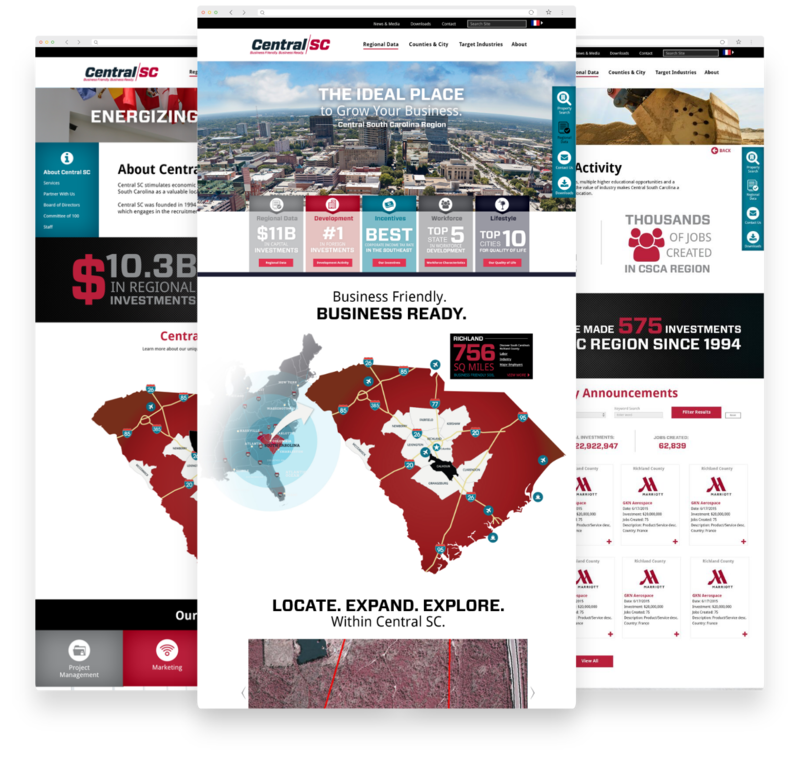 Our team developed a highly interactive, infographic-driven visual experience that makes a strong case for central South Carolina as an excellent choice for businesses. 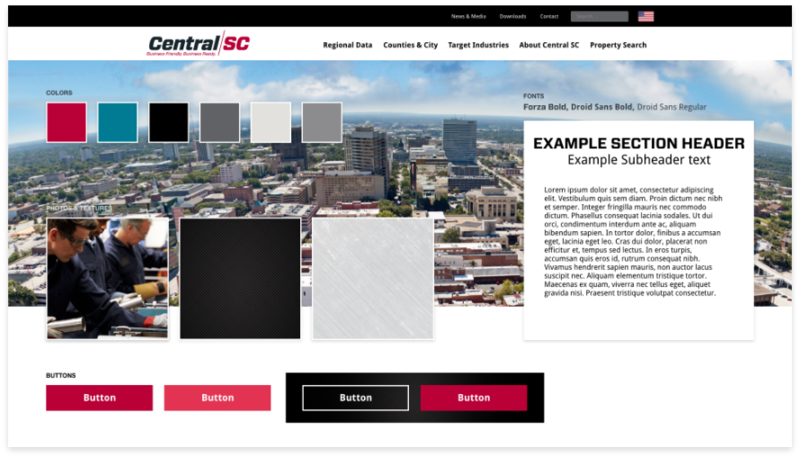 Content from Central SC Alliance’s content management system is dynamically synced to the website, simplifying the overall processing of updating and adding information to the site.